A Village is a community of neighbors and friends. 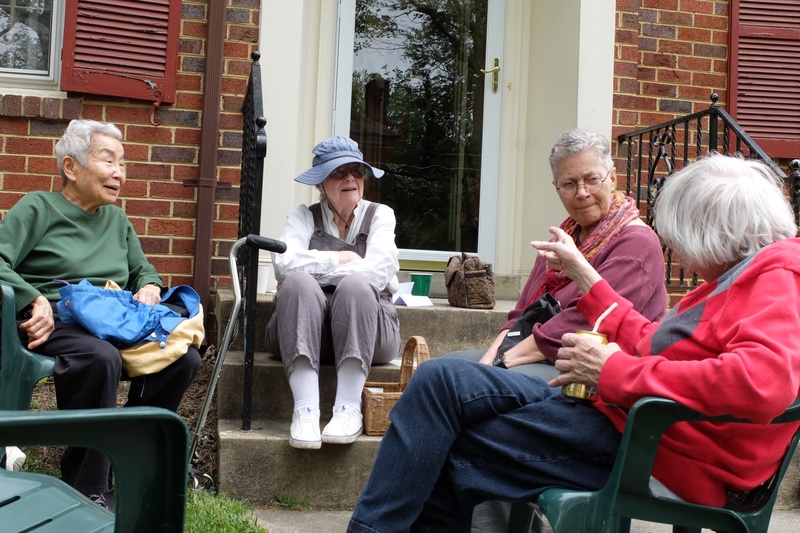 Membership in Silver Spring Village provides opportunities for you to make new friends; expand your support network; and become a more independent, better-informed, and more active participant in your community. We welcome all who live in or very near the 20910 ZIP Code to join our Village, as either Full Members or Associate Members. Both membership levels offer valuable benefits, for individuals and couples. Associate membership is open to people who live outside the boundaries of 20910. *I am such a happy camper! Village membership rocks! *Mom and I can't say enough about this group of people. We're lucky to have them in Silver Spring. *If you're thinking about joining, please do it -- for the peace of mind! *People ought to be signing up in droves! Read below to see which membership level best meets your needs and interests. We invite ALL of our members to the interesting and fun programs that we design for education, socialization, and recreation. 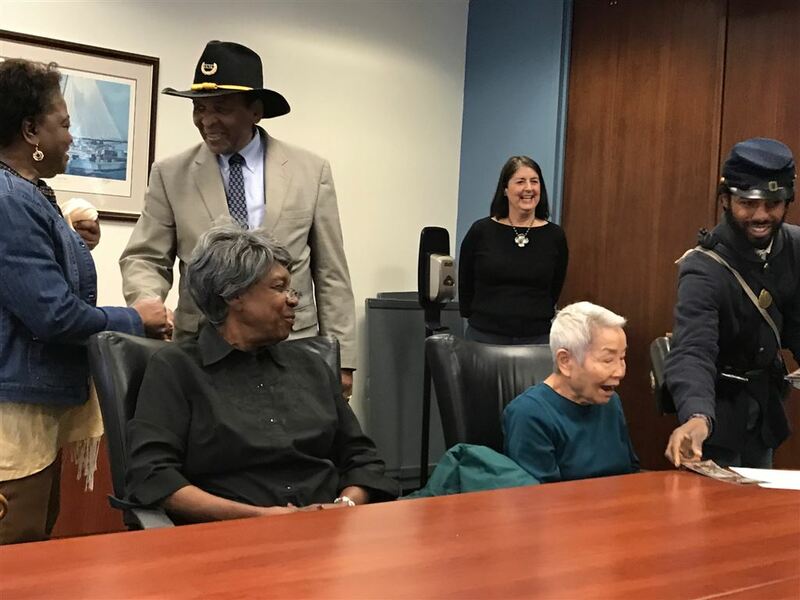 Examples include social gatherings; educational presentations; discussions about news events and current issues; restaurant get-togethers; neighborhood history tours; and excursions to movies, museums, sports events, and performances. 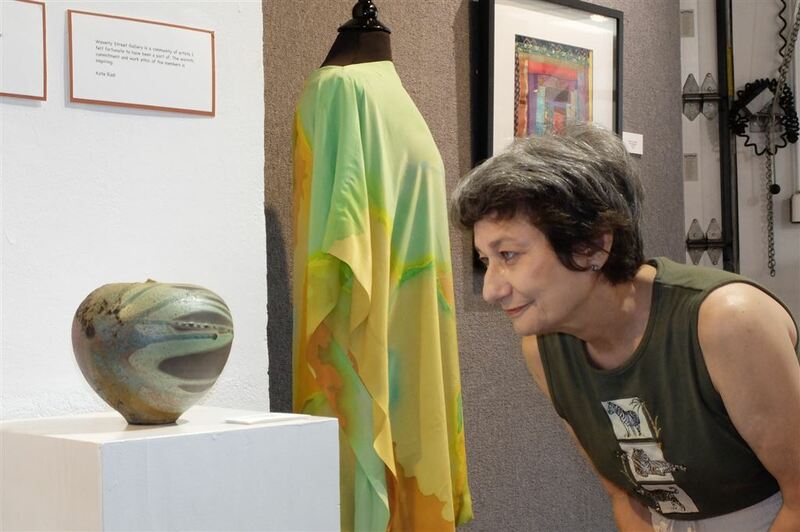 Some programs are open to the public. To see the variety of offerings, please visit our "Calendar" page. Note: By prior arrangement, members are welcome to bring a prospective member to most Village events. Please call 240-200-4280 or email executivedirector@silverspringvillage.org to ensure space is available. In addition to the many activities planned by our Programs Committee, we have a large and growing number of member-initiated interest groups. 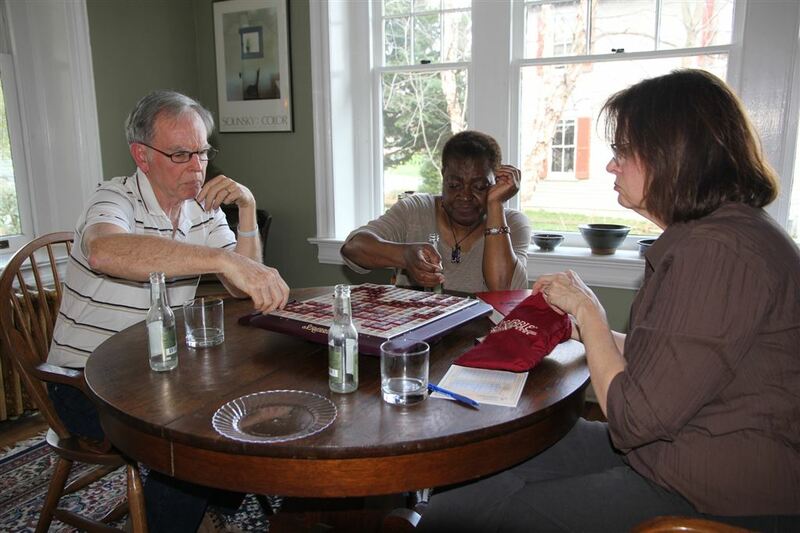 These regularly scheduled meet-ups include: discussion groups (current events, books, poetry, philosophy, mindfulness, and "getting to know you"); and games (Bridge, Scrabble, Poker, Chess, Mah Jongg, and Canasta). 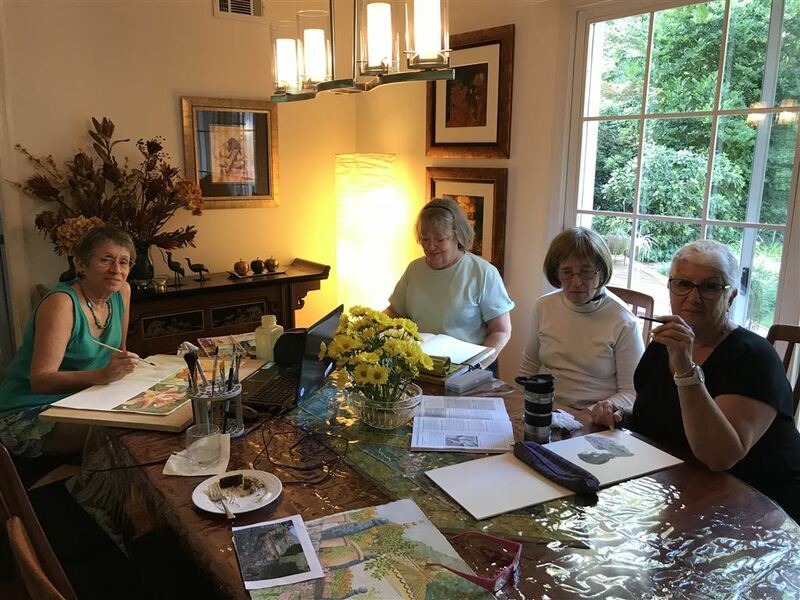 Other groups are walking, writing memoirs, creating artwork, stitching for charity, watching movies, learning tech skills, conversing in German, and going out for lunch or dinner. 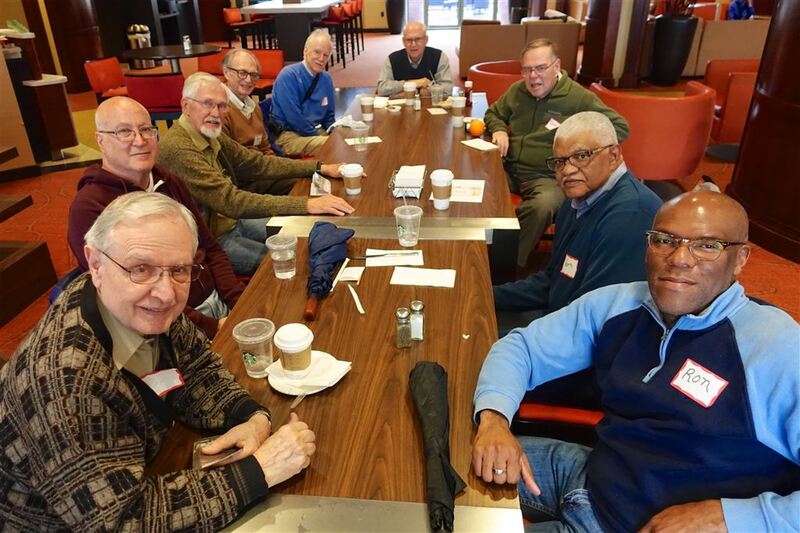 One of our popular groups is the monthly men's brunch. 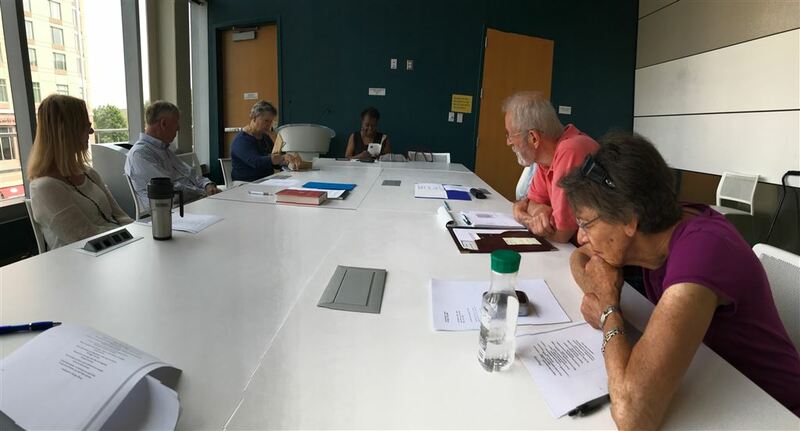 Interest groups meet at least monthly, with some meeting every week. To see photos from more of our activities, click here. Home Maintenance Professionals: Electricians, plumbers, lawn care services, and other home maintenance professionals that serve Silver Spring neighborhoods are cooperating with us to offer our members discounts on home repairs and maintenance. Local Shops and Restaurants: Numerous local shops and restaurants in downtown Silver Spring have agreed to give our members discounts of at least 10% on goods and services. All members receive the online version of Washington Consumers’ CHECKBOOK, to help them identify reliable and affordable service providers. CHECKBOOK rates local repair services, stores, health services, personal services, and more. All Village members and volunteers may choose to join the Montgomery County Employees Federal Credit Union. Among the benefits are free checking, consumer loans, free financial education, and mobile banking. For information, visit www.mcefcu.org or call 301-279-1964. All members can call our office for information concerning resources for seniors that are available in Montgomery County. We can help you find resources for health information, home care, caregiver support, consumer information and protection, financial assistance and public benefits, grief and bereavement, hospice and palliative care, recreation, transportation, and more. Full Members may request the help of our Village volunteers, who provide the many services listed below. The cost of these services is covered by payment of your Full Membership dues. 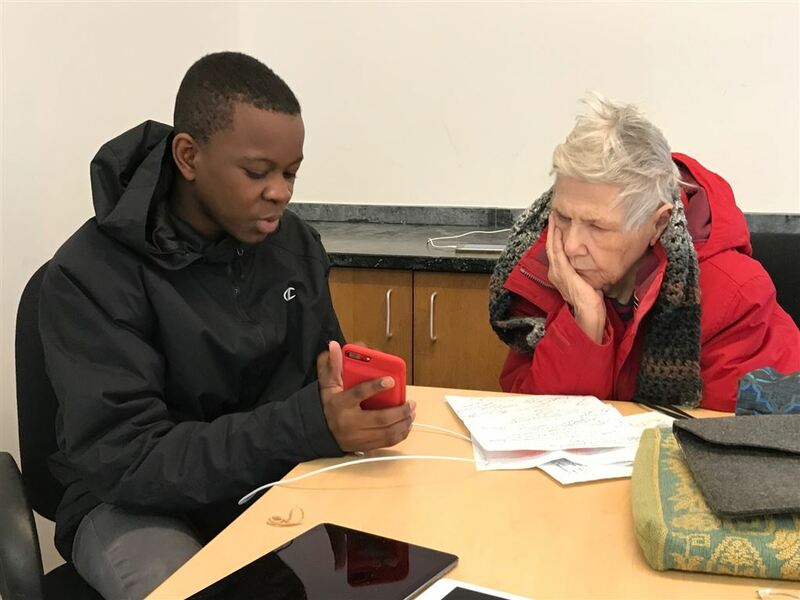 Personal Contacts and Friendly Visits: Volunteers visit with Full Members by phone and in person, providing opportunities for companionship and conversation, or just to say hello. Also, in case of a storm, power outage or other emergency, a volunteer "storm buddy" can make sure you are ok and that you have what you need. Transportation: If you are a Full Member who doesn't drive, you can request a volunteer driver to take you where you need to go or to run an errand for you. Typical destinations are grocery stores, doctors’ offices, meetings, and social and educational events, including those sponsored by our Village. Household Assistance: Volunteers help Full Members with a wide variety of indoor tasks, such as replacing a smoke detector battery or ceiling light, moving boxes or furniture from one room to another, replacing an A/C filter, and removing window screens. Outdoors, volunteers can clear a snowy walk, water plants, or clear storm debris. If you are away, volunteers might watch for mail or packages, or provide pet care. Technology: Full Members may request a volunteer to help with computers, remote controls, telephones, programmable thermostats, and other electronic devices. Medical Note-Taking: Specially trained volunteers are available to accompany members to medical appointments. They make sure the member's questions get answered and provide a written record of the medical encounter. Hassle-Free Help: When you need help, a single phone call or email to the Village will set things in motion. No more wondering “Who can I call?” A Village volunteer will find out what you need and identify a volunteer or appropriate professional who can help. For most volunteer services, we ask that you give us a week’s notice. However, we will also try to meet members’ unanticipated needs on short notice. This Is YOUR Village: We design programs and services based on member interests and needs. We encourage members to communicate with us, in person, by phone, or by email. We want you to let us know what you need or want, what works and what doesn’t, and your ideas about how to make our Village stronger. And we will reach out to members through information sent directly to you or posted on our website. This includes our widely distributed bi-monthly newsletter, the Village Vibe, and the monthly Insider, which goes exclusively to our members and volunteers. Our phone line and email are monitored daily. When you contact us, someone will speak to you directly or respond to your message within a few hours. Phone: (301) 503-7401. Email: info@silverspringvillage.org. 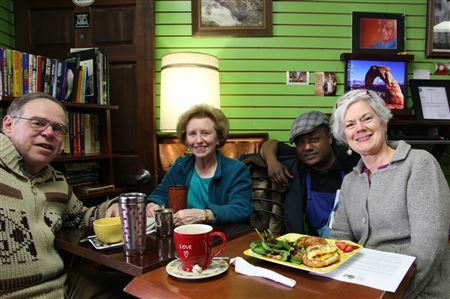 Helpers You Know and Trust: All Silver Spring Village volunteers are screened, trained, and insured. They are your neighbors. Many volunteers are also members of the Village. To get started as a member, please print and complete our brief Membership Application and return it with your dues payment to: Silver Spring Village, PO Box 8217, Silver Spring MD 20907. Or send a note indicating your interest to membership@silverspringvillage.org. If you are applying for Full Membership, we will schedule an interview in your home. This is to ensure a good match between your expectations and what the Village can provide. If you are applying for Associate Membership, we will contact you to provide information about your benefits. Prior to enrollment, all new members are asked to complete forms that request information about themselves, their interests, emergency contacts, etc. 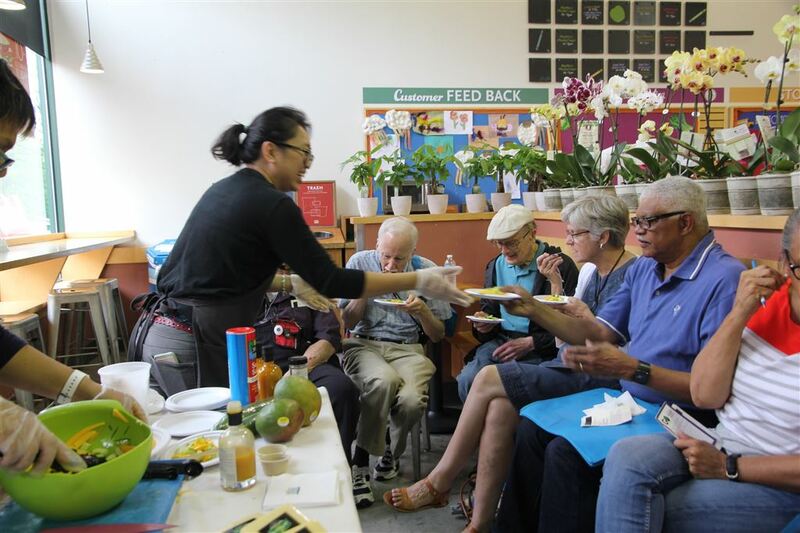 Silver Spring Village is a nonprofit organization whose operation depends on membership dues, volunteers, and monetary contributions from individual and institutional supporters. To make services widely available throughout our community, membership dues, which cover less than half our operating costs, are as low as possible. To ensure inclusivity, we offer reduced membership dues to applicants with limited income. Please email membership@silverspringvillage.org or call the Village phone, (301) 503-7401, and request a call-back from Claire Maklan. All financial information will be held strictly confidential. Village membership provides peace of mind and continued connection to your community — priceless!